Even some Google competitors made the list, with Microsoft Word and Amazon's Twitch among the honorees. Let the year-end roundups begin. Google is fully on board with this phenomenon, back again with the annual list of the best apps and games for the Play Store. The ”Best Apps” list is a mashup of well-known titles and newcomers. Usual suspects like Twitter, SwiftKey, Instacart, and Trulia are included along with Robinhood, a free stock-trading app that quickly became popular. But Google also sought out to show some love to indie apps like Nova Launcher, Action Launcher 3, and My Very Hungry Caterpillar. And even though Google offers Google Docs, credit went to Microsoft Word and Office Lens. Twitch was another honoree, which competes with Google’s new YouTube Gaming. The best games list categorizes the selections for easier discovery. On the games front Google lauded a mixture of titles, with the popular Alphabear, Hearthstone Heroes of Warcraft, and Fallout Shelter joining newcomer titles like Prune and Crossy Road. This year’s Play Store awards also calls attention to the larger amount of entertainment content available, with collections of the top-selling music, movies, books, and TV shows. 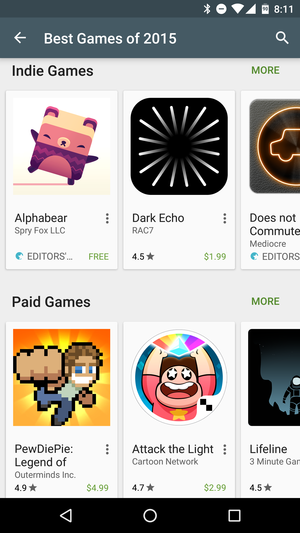 Along with highlighting the top sellers, Google called out its favorite selections from the Google Play Newsstand and Play Books offerings. We don't know how these lists were generated, exactly, but it appears to be a programmatic approach based on the apps rating and downloads, rather than human-curated. Supposedly, the lists offer a few different options based on the region you're accessing it from, too. The impact on you: This list is a good way to discover a new game to play over the weekend or find a neat app that you might have otherwise missed. 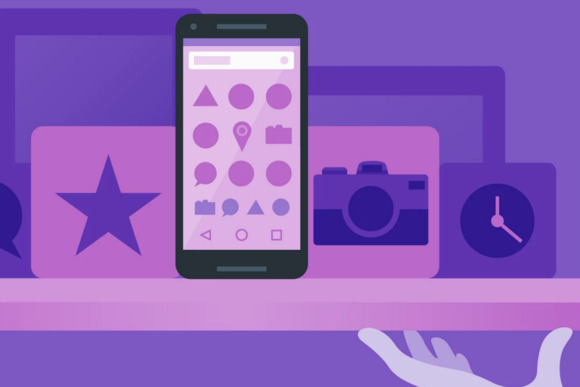 Even with all of Google’s efforts to increase app discovery, it can still be a challenge to find the good stuff that’s hidden amongst all the clutter.